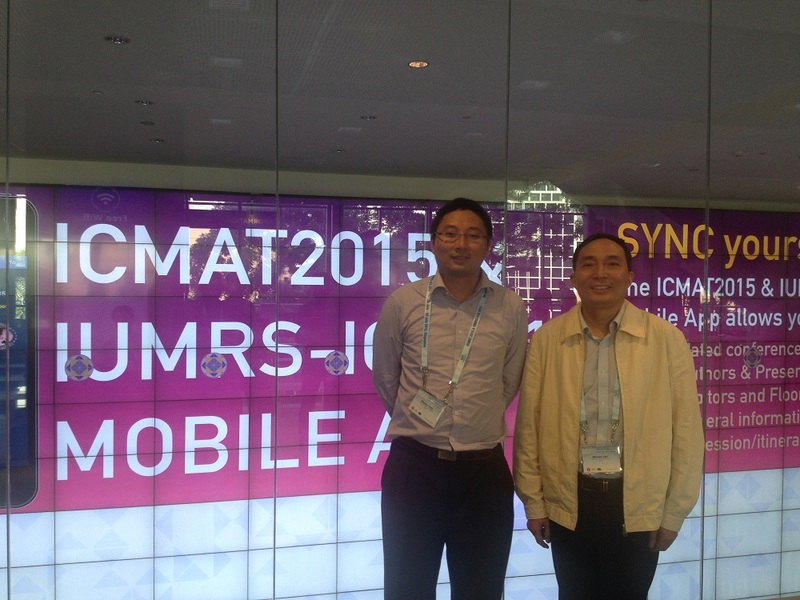 During June 28 to July 4, Prof. Jin and Dr. Chu attended the 8th International Conference on Materials for Advanced Technologies of the Materials Research Society Singapore (ICMAT2015), Singapore. Prof. Jin was invited to give a lecture on “Graphene-based Membranes for Molecular Separation” to introduce the frontier achievement in the preparation and application of graphene membrane, and our group work on the ceramic-supported graphene oxide membranes with fast and selective channels for molecular separation. 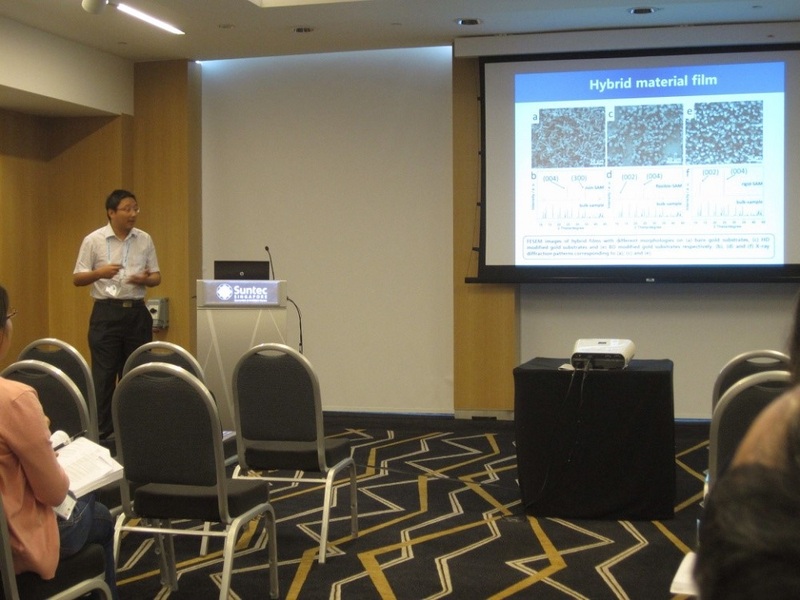 Prof. Jin also talked about the future development of graphene membrane in the sea water desalination and gas separation. 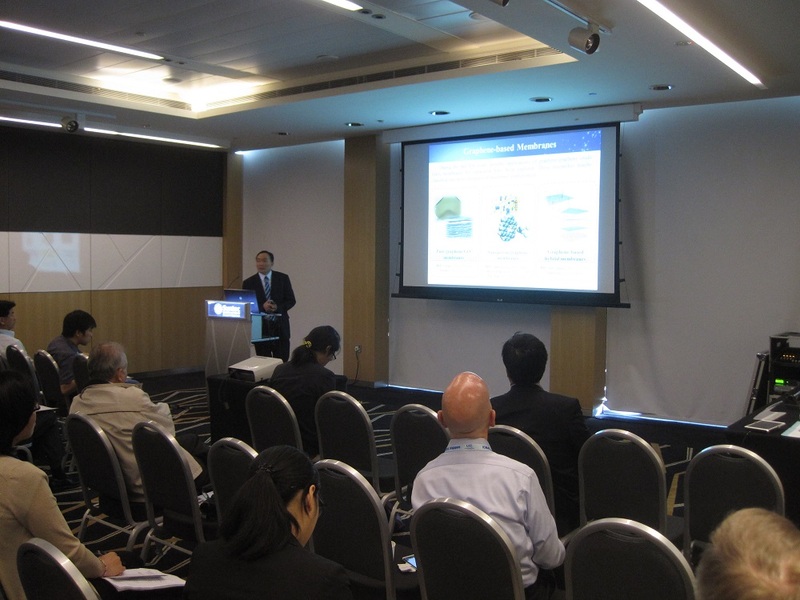 Besides, Dr. Chu gave the oral presentation on “Development of Nano-controlled Approaches for Novel Architecture of Biosensing Materials ” to introduce the group work on the design and preparation of nanostructured materials for the biosensing application.